overcharging and over-discharging in the test chamber, check whether the battery will explode. 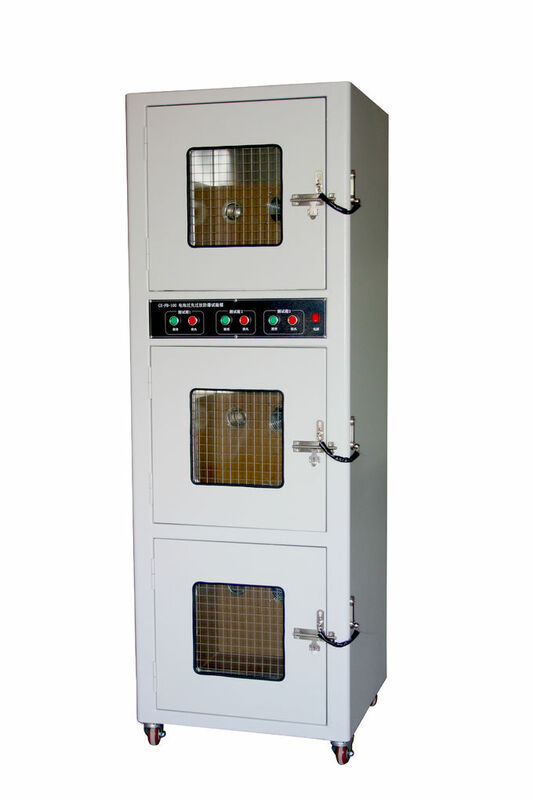 The battery will be placed in the explosion- proof chamber, the charging and discharging tester will be connected outside to protect operator and tester. a. The tester is used for testing overcharging and over-discharging of battery. b. The tester is divided three layer with three test chamber.